1. Physical security of the local server and the physical security of the IT network, this is especially true within a retail store environment. 2. Improving the performance issue relating to pharmacy database software, to increase work efficiency. 3. 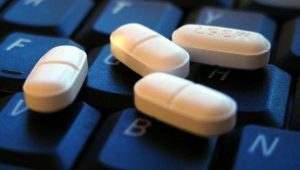 Ensuring the pharmacy database is backed up both onsite and offsite. 4. Protecting personal data: In Canada PIPEDA covers all industries. In the United States HIPAA only covers personal health information. 2. Using hardware that is less likely to breakdown which causes expensive downtime. 3. Significantly improving overall system performance to increase the number of fills per hour. We have worked with pharmacy software such as Kroll and Robotic Prescription Dispensing Systems. We understand how to configure the IT systems around them to maximize performance and how to implement additional functionalities from within the software. We have passed multiple in-person audits by Federal government Protected B security; we use that knowledge to help us keep your information secure and safe. Proudly serving Saskatoon and area with commitment and compassion since 2004.